The diversity and beauty of locations for your video and photo shootings you have in Spain is simply unbelievable, plus there are many locations not to be found anywhere else. Here in Vista we know how important locations are (we started as a location company) you can be sure we’ll find the perfect location for your project. Mother nature has been very generous with Spain in many ways, but probably the most notorious one would be it’s incredible weather. 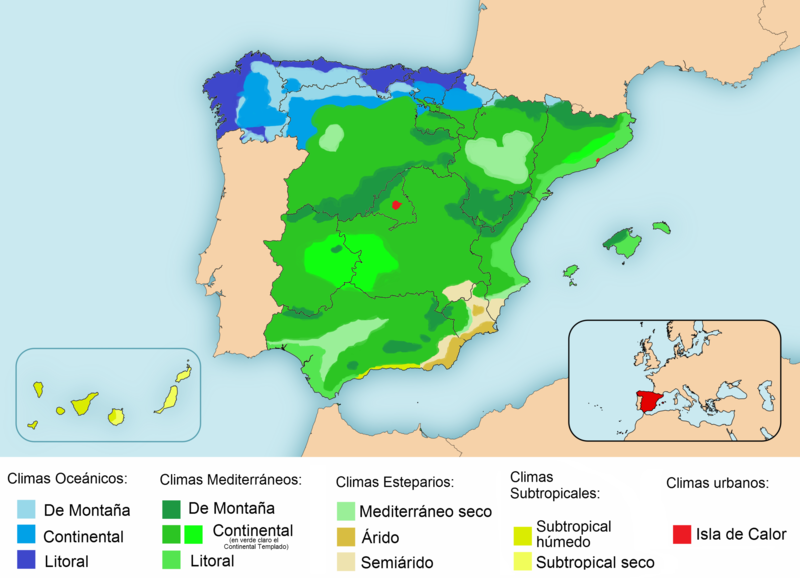 An average sunshine between 2000-3000 h per year make Spain an ideal place for outdoor shootings. 12-15 hours shooting days from April to October are the norm. The lack of rain in most of the peninsula render weather insurance useless 90% of the time. Also the peculiar geographic situation in the middle of the Mediterranean sea and the Atlantic ocean offers a great variety of climate environments, that turns into a great diversity of locations.